Hadith 1: It is reported in Sahih Bukhari and Muslim from Jareer bin Abdullah that Rasoolullah Sallallahu ta’ala alayhi wa sallam said ‘Allah ta’aala does not bestow His Mercy upon a person who is not merciful upon the people’. Hadith 2: Imam Ahmed and Tirmizi reported from Abu Hurairah Radi Allahu anhu who says that he heard Abul Qaasim, The Truthful and the Deliverer of the Truth Sallallahu ta’ala alayhi wa sallam saying ‘Mercy is not removed, but from a wretched person’. Hadith 3: Abu Dawud and Tirmizi reported from Abdullah ibn Amr ﺭﺿﻰ ﺍﷲ ﺗﻌﺎﱃ ﻋﻨﻬﻤﺎ that Rasoolullah Sallallahu ta’ala alayhi wa sallam said ‘Rahmaan has Mercy on those who have mercy. 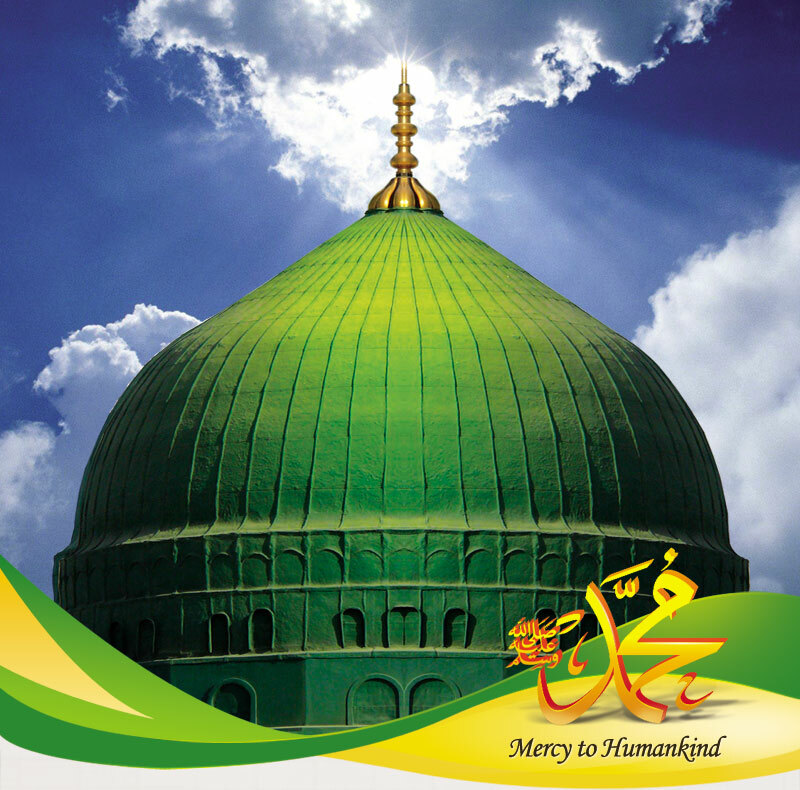 Be compassionate to those on the earth and He, Whose Divine Authority is over the skies, will be Merciful towards you’. Hadith 4: Tirmizi reported from Ibn Ab’bas ﺭﺿﻰ ﺍﷲ ﺗﻌﺎﱃ ﻋﻨﻬﺎ that Rasoolullah Sallallahu ta’ala alayhi wa sallam said ‘He who shows no mercy upon our children and shows no respect to our elders, and he who does not command righteous deeds and he who does not forbid evil, is not from amongst us’. Hadith 5: Tirmizi reported from Anas Radi Allahu anhu that if a young person respects an elderly person due to his old-age, then Allah will appoint for him, one who will respect him in his old-age. Hadith 6: Abu Dawud reported from Abu Musa Radi Allahu anhu that Rasoolullah Sallallahu ta’ala alayhi wa sallam said ‘It is from the signs of Respect for Allah, to be respectful to an elderly Muslim, and to respect one who bears the Qur’an (i.e. a Hafiz) who is neither Ghaali or Jaafi 1 , and to be respectful to a Just Ruler’. Hadith 7: Imam Ahmed and Baihaqi have reported on the authority of Abu Hurairah Radi Allahu anhu that Rasoolullah Sallallahu ta’ala alayhi wa sallam said ‘A Momin is a sanctuary of affection, and there is no good in that person who neither shows any affection nor receives any affection’. Hadith 1: The army of souls was united (together). Those who were acquainted with one another there, they became affectionate (towards each other) in the world, and if they were unacquainted there, then here there was dispute (between them). Hadith 2: On the Day of Qiyaamat Allah ta’aala will say ‘Where are those who used to show love to one another because of my Majesty! Today, I will keep them in my Divine Shade (of Mercy). Today, with the exception of my Divine Shade (of Mercy) there is no other Shade’. Hadith 3: A person went to meet with his brother in a different town. Allah ta’aala appointed an Angel to sit down in his path. When he reached this Angel, the Angel asked him where he intended going to. He said, my brother lives in that town, so I am going there to meet with him. The Angel asked ‘Does he owe you any favour for which you are going’. He said ‘No! 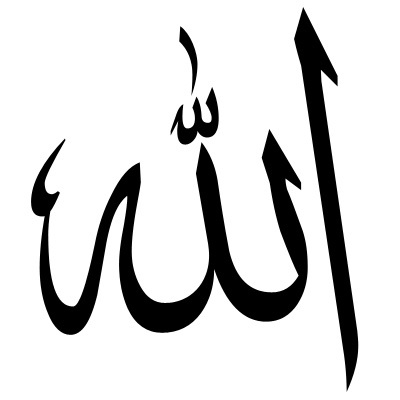 The only reason is that I love him for the sake of Allah’. The Angel then said ‘Allah has sent me to you so that I should inform you that Allah has granted you His special closeness, because you loved him (your brother) for the sake of Allah’. Hadith 4: A person asked ‘Ya Rasool’Allah Sallallahu ta’ala alayhi wa sallam ! What is the ruling regarding a person who loves a particular nation, yet he has neither met with them, nor received their companionship and nor has he done any deeds like theirs?’ He Sallallahu ta’ala alayhi wa sallam said ‘A person is with the one whom he loves’. From this Hadith it becomes very evident that love for the pious makes one pious and the resurrection of such a person will be with the pious, and (it also proves) that to love the nefarious, makes one nefarious and the resurrection of such a person will be amongst them. 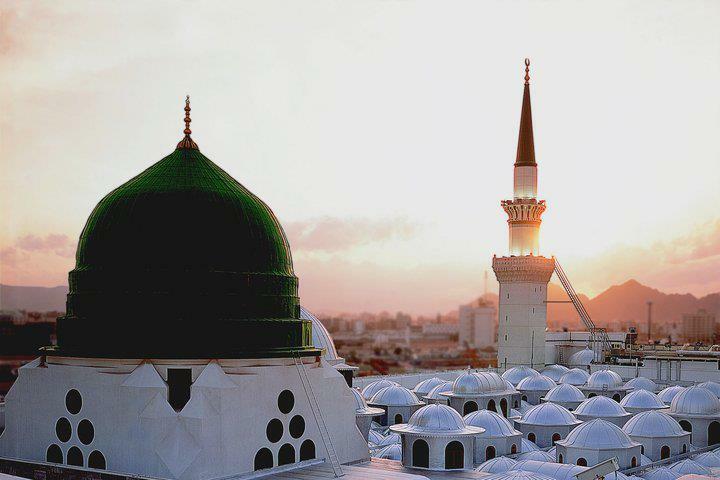 Hadith 5: A person enquired ‘Ya Rasool’Allah Sallallahu ta’ala alayhi wa sallam ! When will Qiyaamat come?’ He Sallallahu ta’ala alayhi wa sallam replied ‘What preparation have you made for it?’ He said ‘I did not make any preparation except for this, that I love Allah ta’aala and His Beloved Rasool Sallallahu ta’ala alayhi wa sallam. He Sallallahu ta’ala alayhi wa sallam said ‘You are with those whom you love.’ Hazrat Anas Radi Allahu anhu says that after Islam, I did not see the Muslims as happy as they were when they heard these words. Hadith 6: Allah ta’aala says ‘Those people who are affectionate (loving) to one another for my sake, and they share the companionship of each other for my sake, and associate with each other and spend their wealth, then my love has become Waajib for them’. Hadith 7: Allah ta’aala said ‘Those who love each other for the sake of my Divine Majesty, (then) for them there shall be a pulpit of Noor Light. The Ambia and Shuhada will be in Ghabata, in regards to them’. 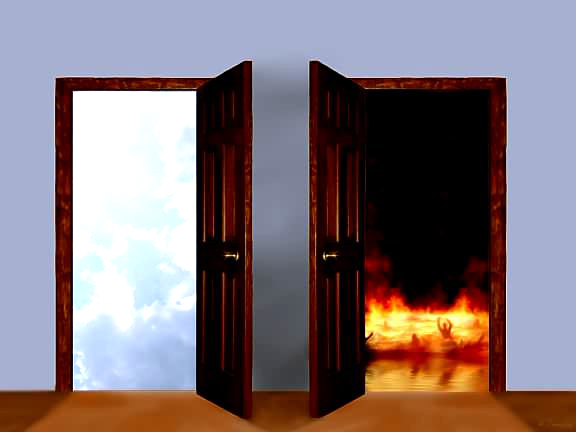 One can therefore not compare the pleasures and tranquillity of Jannat. If one of the maidens of Jannat has to glance into the world, then through her beauty and radiance, the entire skies and earth will light up and be overwhelmed with fragrance. Her beauty will surpass the brightness of the sun and the moon. Her head gear is greater than the world and all its possessions. If a Hur (maiden of Jannat) has to reveal her palm between the skies and the earth, then the creation will be plunged into turmoil due to her beauty. If she reveals her head gear, its radiance will overshadow the sun. The sun compared to the beauty of her headgear will be like a candle in front of the sun. If anything from Jannat, even equivalent to the size of a finger nail has to fall onto the earth, it will be regarded as the most decorative item. If the bangle (or bracelet) of a Jannati (Dweller of Paradise) is revealed, it will cause the brightness of the sun to be hidden, like the sun causes the brightness of the stars to vanish. The smallest space in Jannat, equivalent to the amount of space needed to keep a dustbin, is more valuable than the world and all its possessions. Only Allah and His Rasool Sallallahu ta’ala alaihi wa sallam know how vast Jannat is. For the purpose of understanding, it has been mentioned that Jannat has 100 levels. 1. There is no doubt, that nothing can be compared to Holy Paradise, but the Holy Kaaba is greater in status than Jannat, and as for the Blessed Rauda-e-Mubaarak of the Prophet Sallallahu ta’ala alaihi wa sallam, then this is even greater than the Kaaba and more majestic than the Arsh of Allah which is the most Majestic station in the skies. 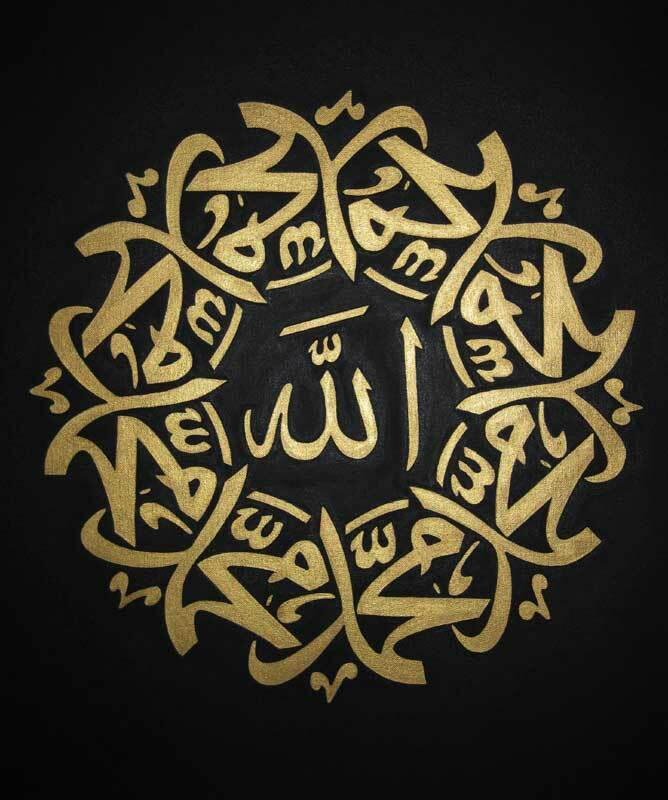 The Arsh is a creation of Allah and the Holy Prophet Sallallahu ta’ala alaihi wa sallam is the greatest of all creation. It is thus very evident that the Prophet Sallallahu ta’ala alaihi wa sallam being the greatest of Allah’s creation is without doubt more exalted in position than the Arsh. The distance between every two levels is equivalent to the distance between the skies and the earth. As for the issue in regards to the actual vastness of each level, then no such narration comes to mind right now. It is however mentioned in Tirmizi Shareef, that if all the worlds have to be put into one level, then this one level is vast enough for everything. There is a tree in Jannat that is so vast, that a fast horse is able to ride in its shade for a hundred years and still not come out of its shade.